FSG was appointed by Panettone Restaurants as we have designed canteens for them in the past. 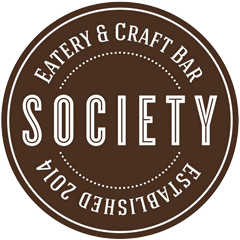 We were asked to design their Flagship restaurant, Society an eatery and craft bar. 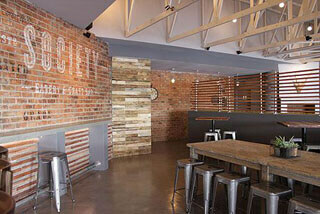 The restaurant is situated in Fourways at the Merowdowns plaza Magaliesig. The project ethos was to establish the brand idea of an eatery and craft beer bar to achieve a high upmarket restaurant. The interior design creates a rustic look using all raw materials and provides a warm and inviting feel, creating the mood of an upmarket craft beer hangout. 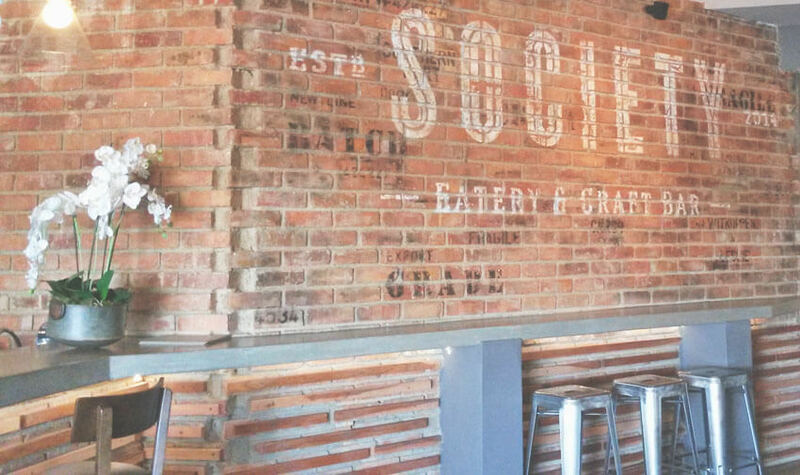 The scope consisted of a large wrap around bar with their iconic craft beer taps, a 45 seater indoor restaurant area, a 25 seater indoor bar area and an 80 seater outdoor area, which incorporates a sit-down area as well as a bar area. As a team, we have worked with Panettone on a couple of previous projects. This experience enabled FSG to successfully deliver the design of the project with minimal issues. The restaurant will be franchised and we will be responsible for the design and build of all the restaurants going forward. FSG managed the communication between the clients ensuring that everyone marched in step throughout the deign process to deliver a successful project.